Like the rest of the world, Germany was caught flat-footed by the appearance of the revolutionary HMS Dreadnought in 1906, but Germany had already been working to modify their 1901 design with more armor plating and underwater protection. 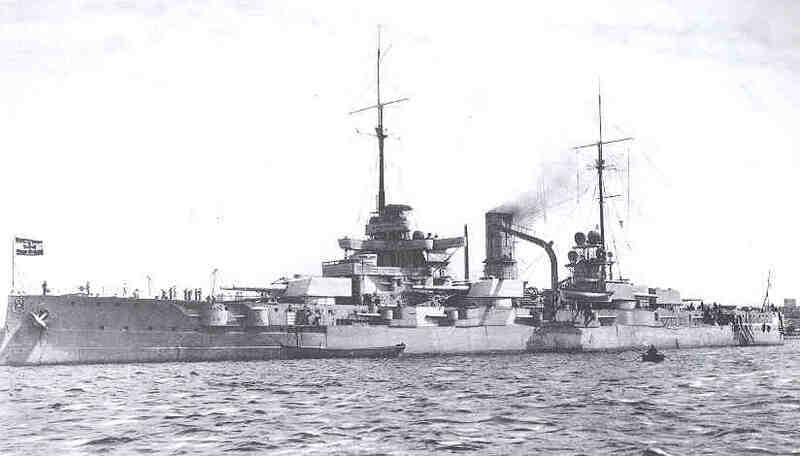 Using the same turret layout as the large armored cruiser SMS Bl�cher, designed as a complimentary armoured cruiser, Nassau mounted a uniform armament of 280mm (11") guns in six twin turrets that provided an eight gun broadside (two more than Dreadnought.) The 280mm gun was chosen because a quicker firing gun was thought to be an advantage in the misty North Sea, where long range gunnery duels were thought unlikely, while making the ship beamier than her rivals made them steady platforms for those guns. 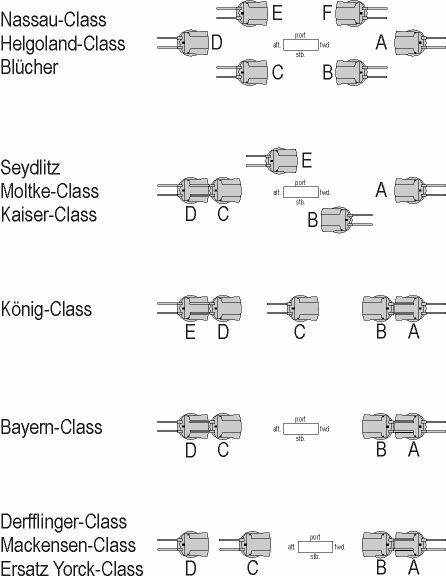 Unlike British battleships, the German dreadnoughts retained triple expansion steam engines because turbines were not yet deemed reliable enough. 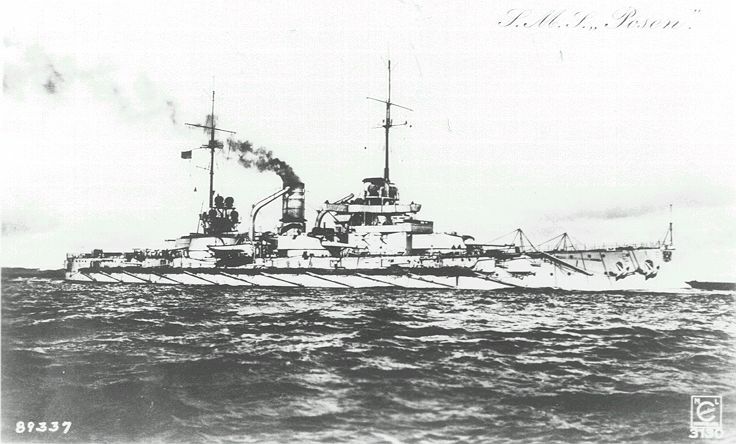 As they were the oldest German battleships, the Nassau and Helgoland classes were not required by the Armistice to sail for Scapa Flow and thus were taken intact after the "Grand Scuttle." In fact, after a serious grounding in the �landsee in April 1918, SMS Rheinland was basically decommissioned and served as an accommodations ship. Officially stricken from the Navy List on 5 November 1919, all four ships were surrendered to the Allies and eventually scrapped between 1919-24. Recognizing that even in a short-range duel the 305mm (12") gun had advantages the RMA began work on an up-gunned successor, SMS Helgoland. Scrapped: All except Westfalen were scrapped at Dordrecht, Germany, 1919-1922. Westfalen was scrapped at Birkenhead in 1924.